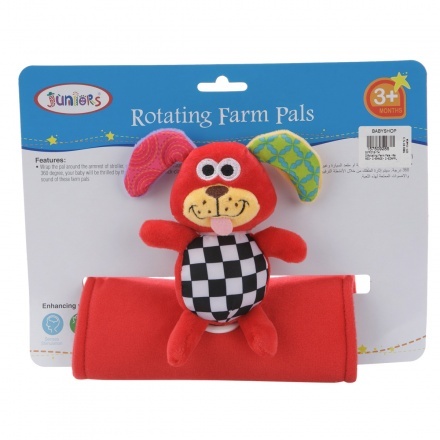 Juniors Stroller Rotating Farm Pals | It can be rotated up to 360 degrees and used for car seats and more. Keep your little one entertained and cheerful on his evening strolls wrapping this rotating farm pal around the armrest of the stroller. 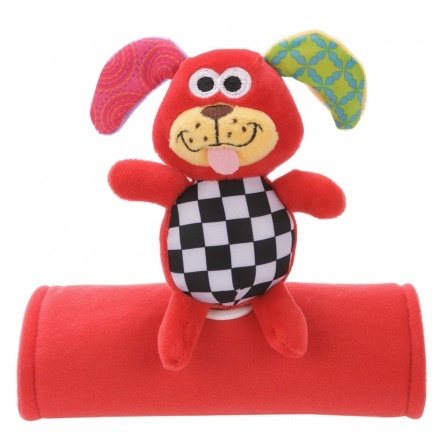 Featuring attractive colours, this piece sports a plush dog with a chequered body and contrasting ears with a print. Feature 1 : It can be rotated up to 360 degrees and used for car seats and more. Feature 2 : It makes click-clack sounds.